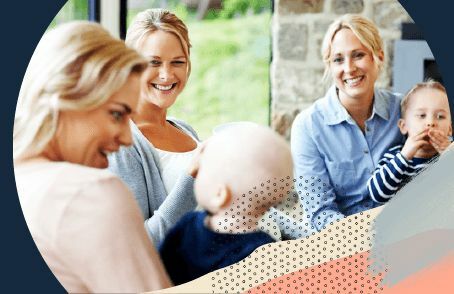 In this best Baby Nappy Bag comparison, you can find out what the Tell Me Baby community thinks are the top Nappy Bags on the market. 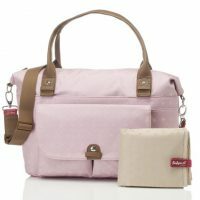 Fisher Price Fisher Price Deluxe Messenger Nappy Bag $69.99 4.7 11 "With nappy bags coming in such stylish variations, couldn’t miss out on buying this one. 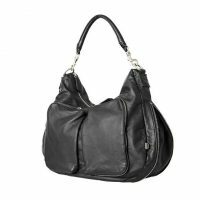 I love the unisex look of this bag which makes it easier for my Hubby to carry this as well..."
Mimco Mimco Lucid Baby Bag $299 4.2 20 "I’m a huge Mimco fan and always knew I’d use a Mimco baby bag. 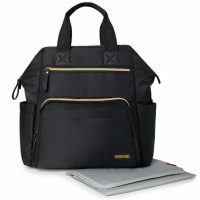 I love it’s many compartments for every little thing you need to carry..."
Mimco Mimco Splendiosa Baby Bag $299 4.8 2 "At first glance this just looks like a normal bag which is what I was after! 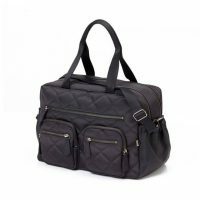 It's also big enough for everything you need without being massive which I was finding with lots of nappy bags..."
OiOi OiOi Quilted Diamond Black Carry All Nappy Bag $199.99 4.4 9 "This has to be one of my favourite purchases. 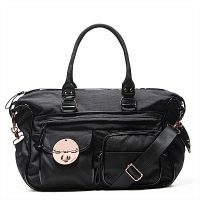 I love this bag, it holds exactly everything I need, so many sections, everything has its spot..."
Nappy bags, like handbags, are such a personal choice about what size, type, style and aesthetics you prefer. 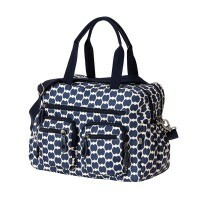 Given you could be carrying around your nappy bag for many years it’s worth getting one that you’re truly happy with! Nappy bags come in so many different sizes, from convient little nappy wallets, to very large bags that could carry enough for an overnight trip. Working out how big, or small, you need your bag to be isn’t just about making sure you can fit everything you need inside it. Also consider whether it’ll fit your pram, or how comfortable you feel carrying it when it’s fully loaded. Working out whether you need a lot of pockets, or many only a few pockets, probably depends on how likely you are to be very organised with your bag. If you know you’ll have your bag well organised with an individual place for every item you’re planning to bring, then a bag with a lot of pockets and compartments makes sense. But if you’re maybe a bit less precise with how you organise items them lots of pockets might be more messy and fussy. These nappy bags have a built in change mat, which is just fantastic if you’re often out and about where there isn’t necessarily a change table. They’re usually quite compact, but can still hold a few nappies, wipes and a couple of small changing items like nappy creams. Nappy wallets are great for quick trips, or even putting inside a larger nappy bag. 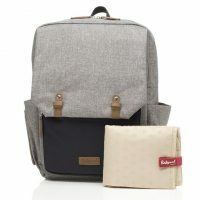 Backpacks as handbags are definitely on trend at the moment, and backpack nappy bag are also quite popular. They’re great because you can carry a lot more on your back than you can just carry on your arm. 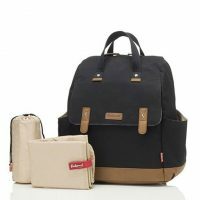 Using a backpack as a nappy bag makes a lot of sense if you can’t fit everything you need into the basket of your pram, or if you’re planning to babywear. You also don’t have to buy a “nappy bag” as your nappy bag. Though specially designed nappy bags usually include features like insulated bottle holders, change mats and are often lined with easy to clean water proof materials, you can just buy a regular bag if you can’t find a nappy bag that appeals to you. 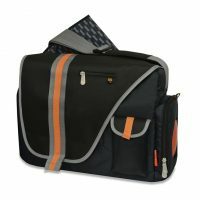 Satchels, messenger bags and backpacks make great nappy bags as well.